Mountain, valley, gorge, coast, creek, district, ridge, hills, and lake. Do these words sound familiar? If you are a student of wine, they should, as together they help form the names of hundreds of AVAs. There are also a few oddball terms in the AVA mix–knob, neck, and kiln come to mind–but what about island AVAs? As it turns out, there are exactly five AVAs with the term “island” in the name (including one “isle”). The winemaking world has some famous wines made on islands–Sicily, Sardinia, and all those Greek islands come to mind–but in the US, we’re not so much about island winemaking. Perhaps that 3,000 mile-wide solid mass of continent that makes up the majority of the country has something to do with it. Three of the five island AVAs are quite familiar to students of wine: the Long Island AVA plus its subregions, the Hamptons–Long Island AVA and the North Fork of Long Island AVA. The two other island AVAs– Merritt Island AVA and Isle Saint George AVA–are undoubtedly two of the most obscure wine regions in the United States. Read on to learn a little bit more about these fascinating obscurities: the little-known island AVAs of the USA. Isle Saint George AVA: The Isle Saint George AVA is located in the state of Ohio on North Bass Island. 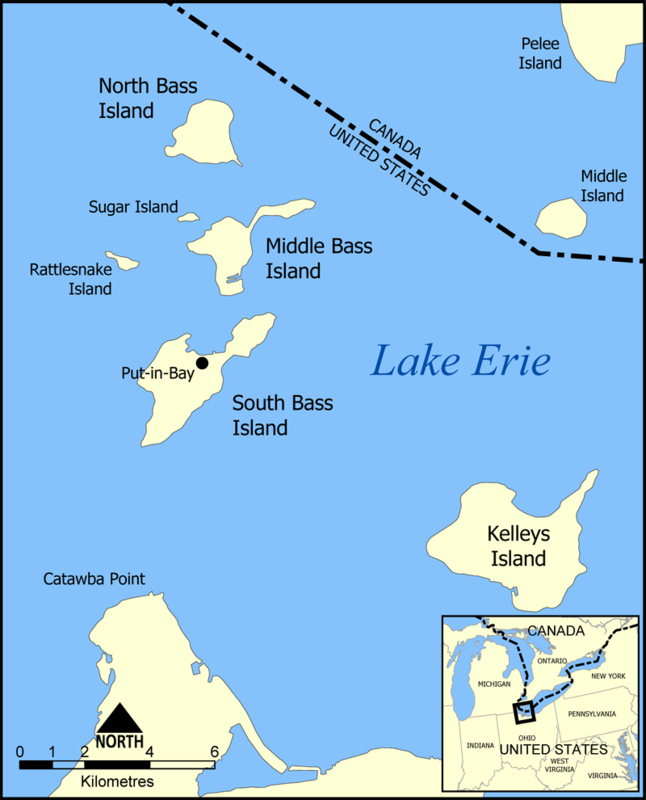 North Bass Island is the northernmost of the three Bass islands, which are located in Lake Erie near the of the town of Sandusky, Ohio. North Bass Island measures about a mile and a half long and not quite that wide, for a total of about 688 acres in size. The entire island is within the boundaries of the Isle Saint George AVA, and about half of the island is covered with vines. The AVA is named after the town of Isle Saint George–the only town on the island–which at last count had about 20 residents. Most of the land on the island is owned by the state, including the vineyards, which are leased out to farmers. 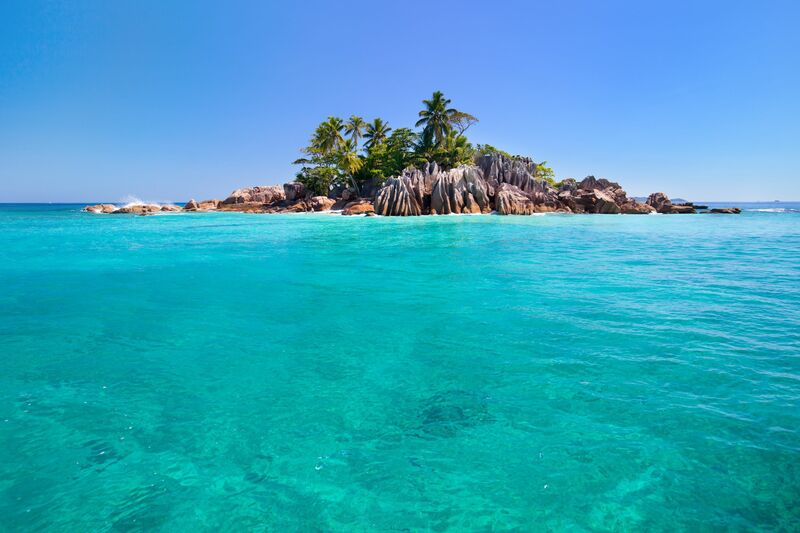 The island enjoys a somewhat moderate, maritime climate. Due to the influence of a system of underground limestone caves, the island actually stays a bit warmer than the surrounding areas, and ground frost is delayed in the fall. Vineyards on the island are planted mainly to Riesling, Gewurztraminer, Chardonnay, and a handful of American hybrids such as Catawba and Delaware. The island has a long history of winemaking beginning with German settlers who arrived in the 1800s. Firelands Winery, located on the Ohio mainland, sources grapes from the Isle Saint George AVA as well as other islands in the Bass Island archipelago. Many of the wines produced by Firelands Winery are bottled under the Isle Saint George AVA. The Isle Saint George AVA was approved in 1982. Merritt Island AVA: Merritt Island is located in California’s Sacramento River Delta. 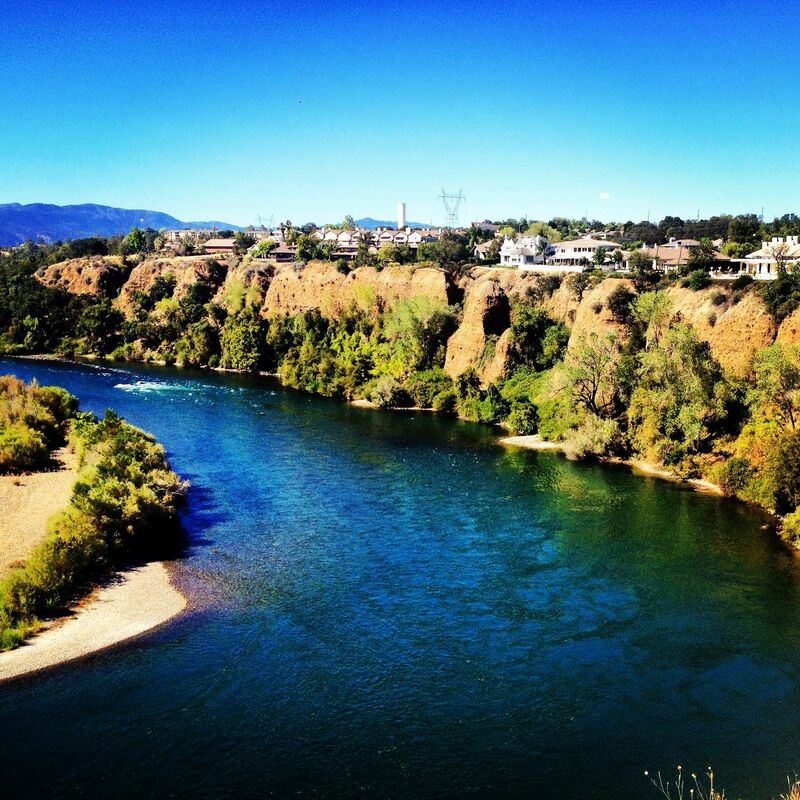 It is surrounded on two sides by the Sacramento River, and on the other two by the Elk Slough and the Sutter Slough. (A “slough” is sometimes defined as a “stream,” but in many cases the word “swamp” is more descriptive.) Merritt Island AVA was approved as AVA in 1983; and later (in 1987) became a subregion of the larger Clarksville AVA. The island is rather long and skinny, and shaped somewhat like a 6-mile by 1.5-mile oval. The island covers close to 5,000 acres, with about 435 planted to vines. As would be expected of a delta island, the land is very flat–the highest point reaches 14 feet above sea level–and very fertile with alluvial soils. There are currently four commercial vineyards on the island, planted mainly to Petite Sirah, Cabernet Sauvignon, and Chardonnay. Most of the grapes grown on Merritt Island make their way into California Blends, including (so we are told) the delectable Bogle Phantom. Speaking of islands: The state of Hawaii contains what must be the most famous islands in the United States. Wine is produced in Hawaii, as it is in all 50 of the United States; however, there are no AVAs in Hawaii. As makes sense for a tropical island located in the middle of the Pacific Ocean at around 20° north latitude, most Hawaiian wineries produce wine from tropical fruit such as pineapple, mango, and guava. However, there are some high-elevation vineyards in Hawaii that grow the Symphony grape variety (a vinifera cross of Muscat of Alexandria and Grenache Gris). Hawaiian wine has not yet made a splash on the mainland, but when in Hawaii, you might want to do as Hawaiians do and try some Hawaiian Symphony!